I cry but I'm also so happy. WHAT AN ENDING. I've never been so happy to be so sad. 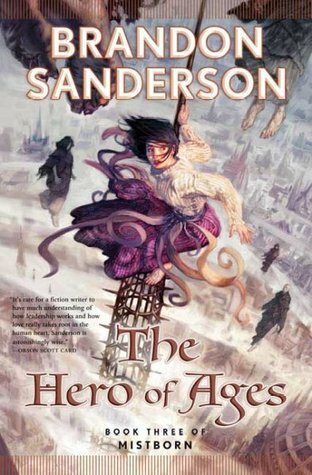 Sign into Goodreads to see if any of your friends have read The Hero of Ages. 54.72% "Starting this up again YAAS"
23.25% "JK I'm only at this page BUT I SAW SOMETHING TRYING TO FIND MY SPOT AND WHAT WHAT FLIPPING WHAT"
76.22% "OMG things gettin cray up in here"
That is the best way to explain the feels at the end: "I've never been so happy to be so sad." "I've never been so happy to be so sad" is a phrase that perfectly captures everything a reader or viewer goes through. Totally agreed. Didn't see that coming. Right?!?? My heart was BROKEN. UGH. i just finished this series just now. so so perfect! And I began to mourn my fallen heroes. Then I cried for the fallen members of the crew all happy, probably making fun of the other members stuck on earth.